Blogging is on the fast track to becoming a standard method of business development. Forward thinking businesses and entrepreneurs are making use of blogs for a number of reasons. Unlike traditional media used to get messages out there (think press releases, print advertising, etc. ), blogging requires no turn-around time for publishing, but can be updated as often as you like and published immediately! 1. Blogging is a primary way to establish and develop brand awareness. It affords you the capability of talking to your clients and prospects on a regular basis, all the while establishing your brand – positioning your business within the public eye. Your blog provides a ‘voice’ for your business – one that is identifiable to your clients. 2. The interactive nature of blogging helps to build trust between you and your audience/clients. When people read your blog, they are garnering information from you. The more you post and the more informative and interesting your posts are, the more people will read and this will lead to a sense of trust toward you within your audience. People are able to comment on your posts and ask questions, and when you respond, you’re creating a dialogue with them that further builds on the trust factor. 3. Blogs play a large role in maximizing your S.E.O. (search engine optimization). Text content is what constitutes blogs for the most part, and great content is what S.E.O. is all about. Choose keyword-rich content that focuses on a specific topic and write meaningfully about your chosen topic to inform and enlighten. And remember as well that Google and other search engines have an affinity for blogs! 4. You can become an expert of the real estate industry through your blog! Want to be the one everybody goes to for all things real estate? Showcase your industry knowledge through your blog posts. Post about topics that your clients are generally interested in – think about what questions you’re most frequently asked and base your posts on these questions. Your readers will thank you and keep coming back for more, positioning you as the real estate go-to person in your area. 5. People like to read a blog because of its informal, non-promotional tone and informative qualities. Ensure that you don’t try to peddle your wares through your blog posts – people don’t want to be advertised to on blogs. People don’t read real estate blogs simply to source out new property listings. Ensure that you do pass on valuable, current, need-to-know information with your posts and your readership will grow. 6. Blogs are an effective means of keeping up with other real estate industry leaders and related businesses. Don’t just write blog posts – read them, too. Blogs provide an easy way for you to keep current with what’s going on in the real estate market. 7. The comments posted on your blog can be used to your distinct advantage. Comments that readers make on your posts are a valuable way of garnering information. What could be better than knowing what you clients and prospects are thinking? What could be better in terms of improving your customer service and providing people with what they want and need? Tap into their thoughts and ideas to make your real estate business the one people want to deal with. Ensure you enable commenting on your blog. Consumer feedback is truly priceless!! 8. Use your blog as a forum to respond to questions and concerns your clients/prospects might have. Further to point number 7 above, remember that it’s imperative to respond to comments on your blog posts, even if it’s just to thank someone for posting a complimentary word, and especially if someone poses a direct question or posts a complaint. Interactive dialogue with people is key and again, it goes to optimized customer service. 9. A blog gives you a competitive edge. Sure, a lot of people have blogs these days, but definitely not everyone does. Make sure you’re one of the real estate pros who blogs. Again, blogging provides exposure for your business, makes you an industry guru and enhances relationships with clients and prospects. 10. Best of all: Blogging is fun!! Researching and writing a blog is actually an enjoyable endeavor. You can instantaneously see the fruits of your labor and the more you do it, the better you become at it. 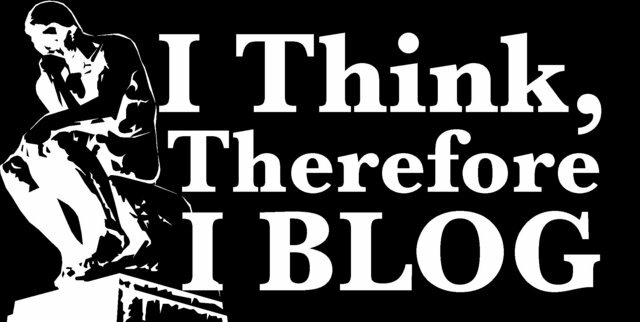 Remember, there are numerous blogs out there, but not everyone can blog well. Spend some time with it, do it, enjoy it – and before you know it, you’ll have a following of people that will be looking forward to your next intriguing blog post! This entry was posted in Blogs, Real Estate, Social Networking, Traffic and tagged Advantages to Blogging, Blogging, Blogging for Real Estate, real estate, Real Estate Blog, Real Estate Blogging. Bookmark the permalink.